Purchased at LowBrau ($/ oz. pour) and served in tulip glasses. 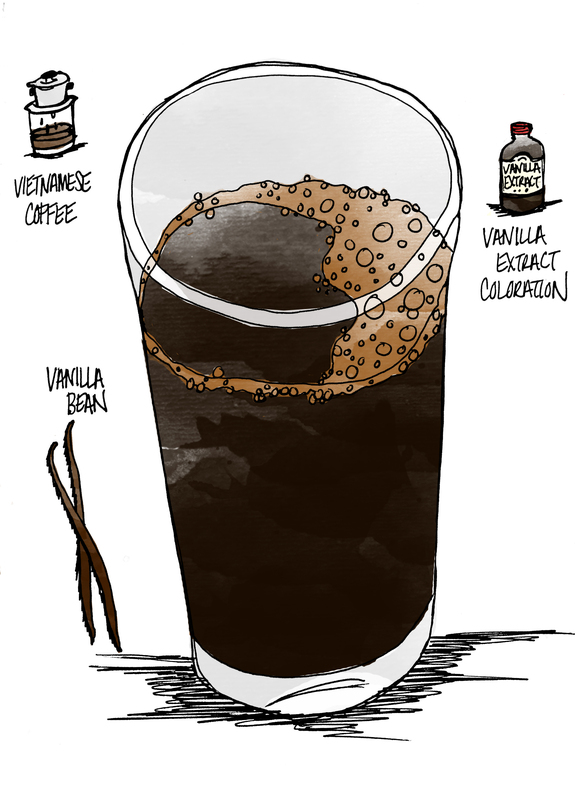 Beer Geek Vanilla Shake pours an ebony black with a vaporous brown head, and emits a gigantic candy shop nose of vanilla, milk chocolate, candied nuts, black coffee, sweet breads, and caramel. 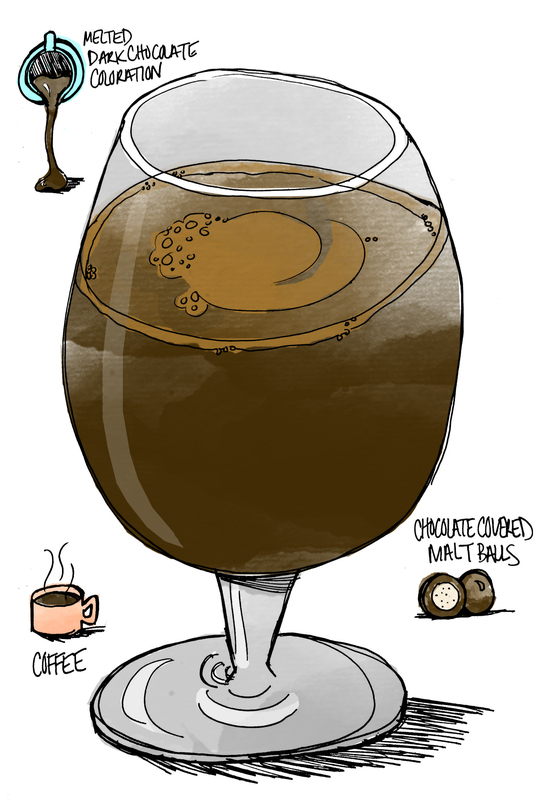 There is a massive sweetness on the first swallow as well, including flavors of vanilla beans, coffee grounds, and melted chocolate, although it’s a little smoother and more refined than the nose would have you believe. It has the overall taste of coffee-vanilla syrup, or a coffee crème brulee, finishing with some pecan and wood bitterness that asserts itself more on subsequent swallows. Mikkeller has brewed a beer that is very tasty in small servings, but might be a bit too much for large pours and solo bottle shares. Purchased at City Beer Store in San Francisco ($5.99/16 oz. bottle) and poured into pint glasses. This imperial coffee stout brewed by Rancho Santa Margarita-based Cismontane pours a licorice black with a bubbly brown sugar head and a nose of chocolate-covered coffee beans, caramel, wood, and dark fruits. Black’s Dawn leads with strong coffee and hay, with mocha coffee and a prominent bitterness coming to dominate the back end. 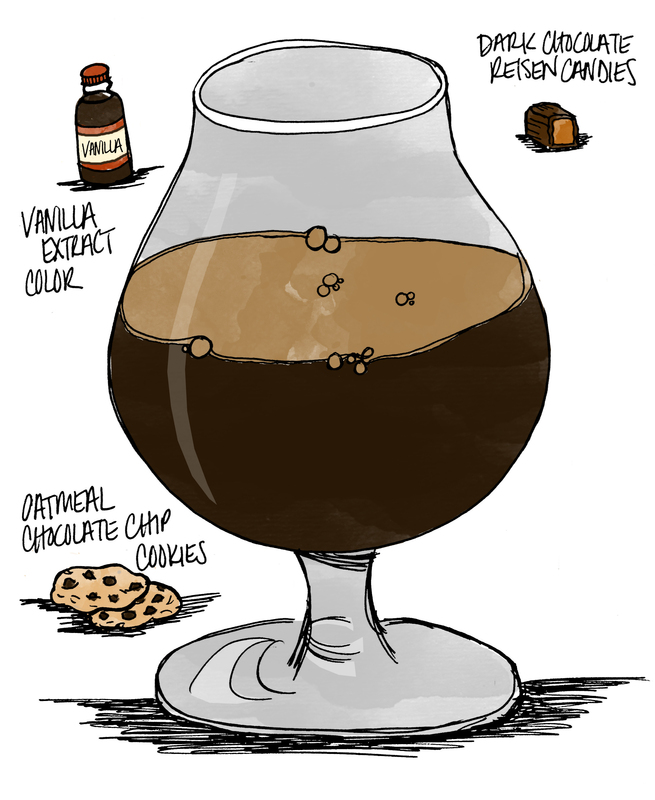 The finish is pretty clean, with neither the syrupy residue you often find in strong coffee beers, nor the velvety and decadent texture of many imperial stouts. Instead, the lasting impression is of wood, smoke, and a profound coffee and hop bitterness, along with touches of vanilla and an unusual grape or berry note that I can’t quite place.